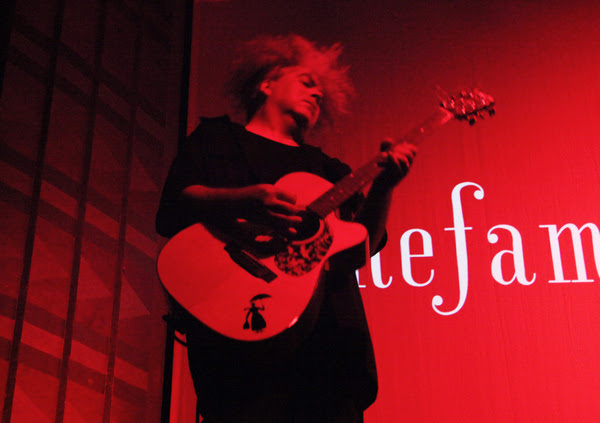 The Melvins have added a semi-acoustic Noise Pop performance to their weekend plans, playing in advance of the Feb. 18 screening of “The Colossus of Destiny: A Melvins Tale,” which will also feature a Q&A with filmmakers (Bob Hannam and Ryan Sutherby) and the band. The performance and screening take place at the Swedish American Hall with tickets available for the 8 pm performance/screening/Q&A via the Noise Pop website (film.noisepop.com). “The Colossus of Destiny: A Melvins Tale” follows the band’s history, with rare behind-the-scenes footage from their early days in Washington to their multiple modern incarnations with an eye on the enduring influence they’ve had throughout their 30-year plus history. The documentary features interviews with Mike Patton, Chris Cornell, Jello Biafra, Gene Simmons, Krist Novoselic, Mark Arm, J. Mascis, Josh Homme, David Yow and many more. “The Colossus Of Destiny - A Melvins Tale” is a film about a band that have defied all the rules, for over 33 years and counting, and still managed to succeed and do it their own way. This is the journey of band members King Buzzo and Dale Crover which leads us from the backwards-waters of the Chehalis River in Washington State, down through the Golden Gate of Northern California, finally settling into the Los Angeles River Basin of Southern California with the rest of the world thrown in along the way. Witness first hand the beliefs and attitudes, values and obscenities, slows and fasts, triumphs and toils, loves and hates, wits and giggles of a hugely talented and highly influential band. Hear what the countless number of peers, collaborators, understudies, admirers, even haters, have to say about their encounters with The Melvins over the past 3 decades and more. And come away with a lesson in how to survive in the wicked world of the music biz without taking yourself too damn seriously.